How to integrate MailChimp with eBay? Today I’ll be showing you exactly how to build an e-mail list from your eBay customers, using two simple (and free!) tools – a PayPal account and a MailChimp basic account. Unfortunately there’s no one-step integration possible at the moment. However, you can integrate your PayPal account with MailChimp which is essentially the same thing as most payments on eBay go through your PayPal account. A MailChimp account. The reason I’m recommending MailChimp for eBay start-ups is because the basic account is FREE to use! 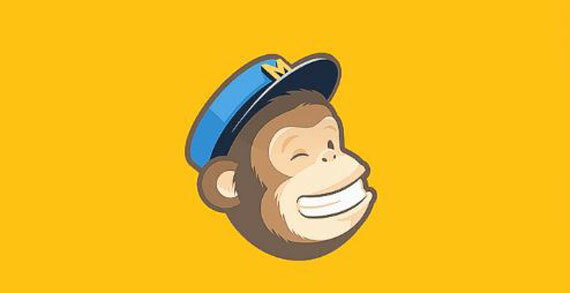 Yes, MailChimp is completely free for your first 2000 subscribers. A PayPal Premier or Business Account. Personal accounts won’t do the trick as they don’t have an Instant Payment Notification (IPN) feature enabled. Default From Name – again, either your eBay shop’s name or your company name – whichever you use on your eBay account and listings. Default Reply to Email – your default customer service e-mail. Make sure you use a valid e-mail address here as people will often reply to your newsletters and you want be able to reply to those e-mails. You are receiving this email because you made a purchase from our eBay Shop “Andrew’s Treasures”. This will be included in every e-mail you send, in the footer section, so that people know exactly where this e-mail is coming from and why they’re receiving it. Obviously, each email will also contain a clear unsubscribe link. Then there’s your company name and full address to comply with the CAN-SPAM act. In the notification settings you can ask MailChimp to send you an email whenever a new subscriber is added to your list but this is probably over-kill! A more suitable choice would be to get a Daily Summary report email – so you keep up to date and monitor your subscriber success rate. Lastly, you can let customers select the format of the email but this doesn’t relate to eBay / PayPal integration so leave that untouched. Once all the info is added, click the Save button to create your new list! Go to Account > Extras > Integrations and find PayPal from the list. Click on the PayPal block and choose your list from the dropdown box. Select the list we just created in step 1 – in my case, eBay Shop “Andrew’s Treasures”. From the 5th line, make a note of the Notification URL – you can simply copy and paste it into Word. Step 3 – configuring your PayPal account. Login into your PayPal account and go to Profile > My Selling Tools > Instant Payment Notification Preferences. In the Notification URL text box, enter the URL you just saved from MailChimp. Step 4 – Putting Everything Together and Making it Work! It’s easy to integrate PayPal with MailChimp BUT the key to success with e-mail marketing lies in your ability to get your subscribers to actually opt-in to your list. 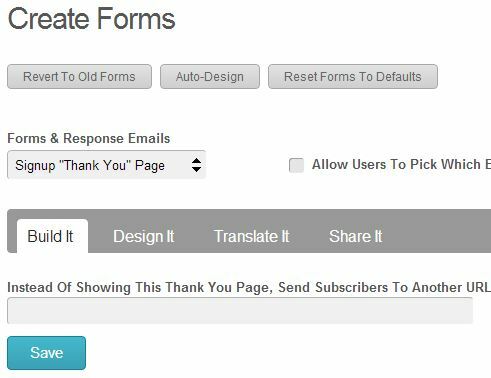 For that to happen, the first thing you need to do is go to the Design a Form page and from the dropdown list choose “Opt-In Confirmation Email”. This is the first e-mail that goes out to your customers once they purchase something from you on eBay. In this email, there is a subscription confirmation link and people will ONLY be added to your list if and when they click that link. So it’s crucial to get people to open your emails and click on that link – if they don’t then all your hard work will be for nothing. So what can you do to make them to open the email and click on the confirmation link? Well that’s obvious really – give them something valuable in return for signing up to your list! Put yourself in your customer’s shoes – would you want to sign-up to some advertisement filled newsletter of no actual value that you’ll just automatically delete anyway? Probably not! Offer a free gift to your customer in return for signing up to your newsletter. This can be something like a product related video guide, an eBook, PDF or simply a free accessory they can claim from your online shop. Offer a discount code/voucher which can be redeemed at your online shop. Don’t forget to add an expiry date to create scarcity as that always drives up response levels. Offer an extended product warranty for people who sign-up to your customer mailing list. I’m sure you get the point; you need to give away something valuable in return for getting your customer’s email – as that is worth a lot more to you! If you deal with low value items, or very small margins where it isn’t feasible to offer additional items, your best bet would be to go for the info product route – a video, eBook, PDF guide or tutorial as that won’t cost you a thing to create and give away. If everything else fails and you simply can’t come up with a good idea or your niche is not suitable for any of these ideas, then at least edit that Confirmation email with a personalised message saying thank you for the order, and offering free future product updates and special ‘existing customer’ discounts if they sign up to your mailing list. Your conversion rate (no. of sign-ups) will be significantly smaller with this approach but still, that’s better than nothing, right? If you’ve done a good job and converted your customer into a subscriber, once they click on that confirmation link, they’ll be forwarded to a Thank You page. 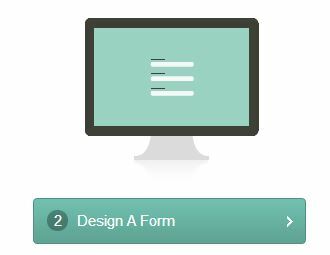 You can edit this via the same Design a Form page by selecting “Sign-Up Thank You Page” from the dropdown menu. I highly recommend that you use the custom URL setting and re-direct subscribers to your own website, if you have one. Then you can create fully optimised and targeted, time sensitive deals for your customers. * You sell Custom Made colouring books for children. * Once a purchase is made on eBay, your customer receives a confirmation email via MailChimp. * When the customer clicks on that link, they’re redirected to the Deal of the Day page of your online shop, with the special pencil deal @ 50% off which is ending in just 2 hours and 45 minutes. But what if you don’t have an online shop? You can still use this technique – just don’t re-direct customers to a custom URL but use MailChimp’s built in editor to create a special offer page with the offer linked to an eBay Buy It Now listing. * FREE Shipping for any additional items you purchase from our eBay Shop within the next 30 minutes! Again, this is a very strong call to action as your customer sees great value in this offer, especially if shipping charges are ordinarily quite high. Obviously, you’ll have to calculate what kind of deals you can offer to your customers based on margins etc. as there’s really no point in just making a sale for the sake of making a sale. Your ultimate goal is to make profit, after all. But with these examples I just wanted to show that there really are options in almost any niche market and I’m sure you can come up with a good offer for your customers too. Again, every e-mail you send out should contain some sort of VALUE to your customers – even if it’s just a discount code. People nowadays received a huge number of emails and get bored with empty talk pretty soon, so don’t let that happen! All it means is that they’ll simply unsubscribe from your list or even worse, mark it as SPAM, which is never a good thing and can severely impact the overall deliverability of your email campaign. With MailChimp’s free account you can send out up to 12,000 e-mails per month. This means that even if you’ve reached the limit of 2,000 subscribers you can still send out 6 ‘email blasts’ per month to your list, which should be more than enough. As I said, usually you’d want to send out one email every week or every two weeks. More than that would probably be too much and you won’t be able to offer enough value in your emails and while once a month may work well for some specific niches, in most cases that’s probably too long for people to really remember you. So to be safe, you should stick with weekly or fortnightly mailings. Alright, that’s about it – I think I have covered most of the important things you need to know about list building. Remember – this costs you nothing to implement so get going as a subscriber list can be a powerful tool for your business, and it’s really stupid not to take advantage of it. Can’t help you with this. You’ll find those settings under Profile > Profile & Settings > My Selling Tools > Instant Payment Notifications. I did every step you suggested but it is still not working, I read every comment to this post and follow your answers and still nothing. When I run test buy to see how emails are sent for opt-in and confirmation, nothing happend. Buyer email is automatically added to my list but opt in email is not sent and I subscribe for paid MailChimp account and still nothing. Can you help? Maybe this is not working in 2016? Did you check junk mail folder? If nothing is there, contact Mail Chimp to help you sort out this. I have 3 separate ebay id accounts for selling different niche products. Payments from all three of these accounts go into my one paypal premier account. Paypal does not highlight which payment came from which ebay account. Therefore, How can I set up Mailchimp so that I can send different offers to the 3 ebay niches if all sales are shown as one paypal account.? e.g. I would not want to send craft related offers to my vintage collectible buyers. Unfortunately that’s not possible if all payments go into one PayPal account. This doesn’t work because PayPal only allows one notification and the ebay cart notification to PayPal takes priority. no, Terry, it does work. Does this mean that the process will no longer work with Ebay as they use a “Add to Shopping Basket” system? No, it still works with eBay & PayPal. They’re referring to shopping cart systems/online shop systems outside eBay. I am so confused with this process – it does not seem to work for me. I have set everything up as you have suggested and as soon as some-one buys and then pays through Paypal, their Email address/details is added to my MailChimp list but none of the Optin/Thank You messages I have set up in MailChimp are getting sent. Could you possibly advise please? Autoresponder messages only work with paid Mailchimp accounts. Free accounts doesn’t have this functionality. Hi Andrew, thanks for the post! I’ve followed your directions and I’m good to go, but I have 2 questions. 1. Say I get a repeat buyer on ebay who doesnt opt in for the newsletter, but buys from me frequently. Will they get an opt in email after every purchase? 2. I got some signups to the list before I completed the opt in email. Should I delete them so I only have opted in addressed on my list? 1. No, if they are already on your list, they shouldn’t receive the opt-in email on every purchase. 2. Yes, you can safely delete them as chances of people confirming on those old sales are very slim. Thanks for your response Andrew! Sorry, I wasn’t very clear on question 1. Supposing they NEVER want to be a part of my mailing list. Are they going to be asked to join every time they buy something from me? I still do not understand what it means. I have done everything on the list and paypal syn. Few hundreds subscribers were imported to the specific list. New subscribers were also automatically added to the list once they paid by paypal. I read the tutorial of signup and asked mailchimp about that then they told me that I need to create campaign to let buyers signup the list. But I tested it as one of subscribers, I can not signup when I filled in the email address because the web page stated that I have subscribed the list before. So what is the exact meaning of a list, subscribers and campaign? If subscribers were added to the list, why they have to do the signup action? If you have people ON YOUR LIST, already confirmed their subscription, you don’t need to ask them to sign up again, before you can do any mail outs. Not sure why they gave you such advice. You should be able to send out newsletter already now, to group of people you have been adding to your account via PayPal set-up. You responded me really fast. I do appreciate your professional advice. Actually I also followed your instructions and it works! For instance: the action ‘Investigating It Further’ in the post “A Complete Guide to Buyers-Scammers on eBay”. I did followed your instruction, apologized, said I will be investigating, and did enclosed a declaration and ask the buyer to fill in their name and sign saying they didn’t receive the item so that I can send it on to Greece post office for their investigation. Then the buyer responded me quickly that he received the item few minutes ago and said thank you. So I am sure he actually had received the item few days ago. You are really a kind man. You know if we followed your instruction, and everything carefully and seriously. It will be succeed. P.S. : I am a UK top rated seller with premium service. God bless you. You did helped a lot of people. That’s great to hear Stephen, really! This is a superb workaround, thank you! If I also use Paypal on our website as well as eBay, does this mean my website customers will get the confirmation email from Mailchimp as well, or is there a way that only my eBay customers get it? yes, all customers will get that email as it’s linked to PayPal account you use, via IPN settings. For online shop orders though you want to check whatever they don’t have a direct plugin to connect your shop’s customers with MailChimp. IN Big Commerce for example this is built in by default. Hi Andrew, thanks for a great article! 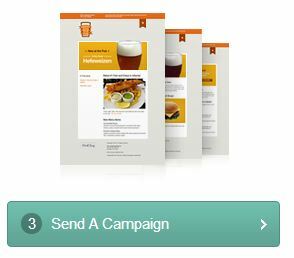 We would require around 10 different product specific automated response templates/emails. Is this possible using the MailChimp software? If not are you aware of a product on the market which could handle this level of automation? No, unfortunately you can’t do this with Mail Chimp as it would send same email to all customers. It would be same case with any auto responder service really. Sorry, not much help, I know! No problem and thanks for getting back, and for ruling out MailChimp. Quick question… is there a way of automating this list building in the same way with Amazon sales, as the payment platform is different? No, unfortunately you can’t do same on Amazon as far as I know. Members can send messages to each other through eBay. We encourage open communication between our members but we don’t allow our members to use these options to send spam, offers to buy or sell off eBay, threats, profanity, or hate speech. We also don’t allow members to exchange email addresses or links that do not directly help buyers and sellers complete a transaction on eBay. Make sure you follow these guidelines. If you don’t, you may be subject to a range of actions, including your messages being blocked, limits of your buying and selling privileges and suspension of your account. Please remember that we don’t have control over communication unless it takes place through eBay. Also, posts on eBay discussion boards aren’t covered by this policy. However, we do have a discussion boards usage policy. Yes, of course – you can do that. As long as you have customer approval (confirmation/sign-up email to your list) and you include un-subscribe link in each email you send out, this is fine. This is exactly what this guide is all about really. My eBay store is a few years old and I have many past customers. Can I send them all an initial email and add them to my list? Technically you could do that but… if those are old emails/customers, many of them will just ignore or mark as spam your email (which is not good) as they won’t remember you. Unless you work in a niche with lost of repeat customers/sales where most of your customers are in regular contact with your brand/shop. How to Reduce your eBay Fees on AUTO PILOT! I am having trouble setting up the Account in Mailchimp. When I close the browser and re-open it nothing has been saved. You really should contact Mailchimp support for stuff like this. Is there anyway to send a list of email addresses the initial opt-in email request? I have now set it up so that when an item is purchased they get sent the opt-in email, but I would like to be able to send it to my list of previous customers! Yes, you can do this by importing existing email list to aWeber/MailChimp when program will automatically send out confirmation required email. Just don’t do this with old lists as then most people will see it as a spam. hello, thanks for the awesome information…. i had a quick question> what if a customer buys more then one item? or orders multiple times in a month? will they receive a newsletter opt-in email every time ? No, as their email will already be in the data base. Hi Andrew, after finding this really helpful post I linked my PayPal with an aweber account. The first day was fine but the last two days sales have plummeted. Do you know if linking customers to an autoresponder affects your standing with eBay, and their search results? Of course it doesn’t, in no way. eBay doesn’t know that you’re using an auto responder system in back-end. So in no way they would change your listing rank because of this. It’s just probably a co-incidence as sales fluctuate on eBay all the time. Is there a way to do this? or do you have to have 2 lists? or just simply make your messages general enough to cover lookers and buyers? 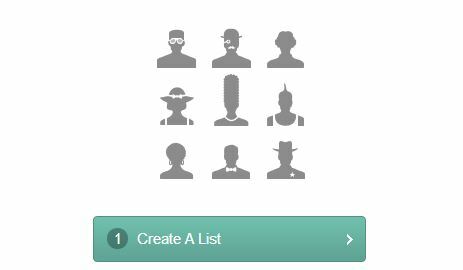 Yes, you can definitely do that by creating various lists for various email sources. Hell Andrew, have attempted to implement this all yesterday. And i think i have done something wrong. Everyone who has bought from me since then has been added to the list.. I thought they would get an email, and only be added if they signed up. I got my girlfriend to do a test purchase, and she didn’t get an email, but i got her name and email address data in my list. bit confused what i have done now. Make sure you have Double Opt-In setting enabled as only then people will receive confirmation email with a link in it. If you have done that, it should work. I can’t find any option to change the opt in settings. Have emailed their customer support to see if they can work out what I’ve done wrong. Hi, I also have this same problem. Everyone who has bought from me gets added to the list. They do not receive any emails to confirm their subscription? I do not see any double opt in settings in mailchimp. Yes, they have changed how it works now and all payPal emails are automatically added to your list. To make them comply with double-opt in rules, you would have to send out an autoresponder email which asks for confirming their subscription or un-subscribing. Hi, so when the email address is added after a Paypal transaction, will MailChimp send an email to them automatically, asking them to subscribe? Reason i ask is that they are already “subscribed” in my list (without optin in?) or is it because there has been a transaction through paypal – it is deemed as ok for them to be opted in, without actually pressing a button. Also, say i sold 20 things in the last day or so, and only 6 email addresses have been added???? – are they getting an email from Mailchimp after the purchase? (conformation optin screen).? The POWER of FREE Gifts on eBay! Yes, MailChimp, (aWeber or ant other auto responder service) will send out that confirmation email automatically. You can even customize it to increase open rate and click through rate. No, you can’t send such emails to former customers, at least not automatically. You can though manually collect/export email addresses from PayPal, import them into MailChimp so it sends out email asking to join your mailing list. But do this only for recent customers who have bought something from you, to stay within SPAM ACT rules. Thanks for the info. I am only using the free service. Looks like i might want to upgrade to use the auto responder. Yes, auto responder feature is the one that actually makes these services so valuable. Hi Andrew, I have been wondering how I can build my email list for my ebay shop so this is really great advice thanks! I am just wondering……has anyone ever complained to ebay about you contacting them in this way? Also, if you have a custom shop template, is it possible to add a mailchimp sign up form in the sidebar? 1) No, I have never had any problems with this. People SUBSCRIBE to the newsletter in first place + each email contains the un-subscribe link so if someone wants to stop mailing, he just have to click on that link and it’s done. 2) I’m not 100% sure. While technically that’s possible, I don’t think it’s ok with eBay rules. I know for sure that you can’t collect emails via listings and almost certain that same applies to shop fronts.